Rain, stream, waterfall, river, lake, sea. 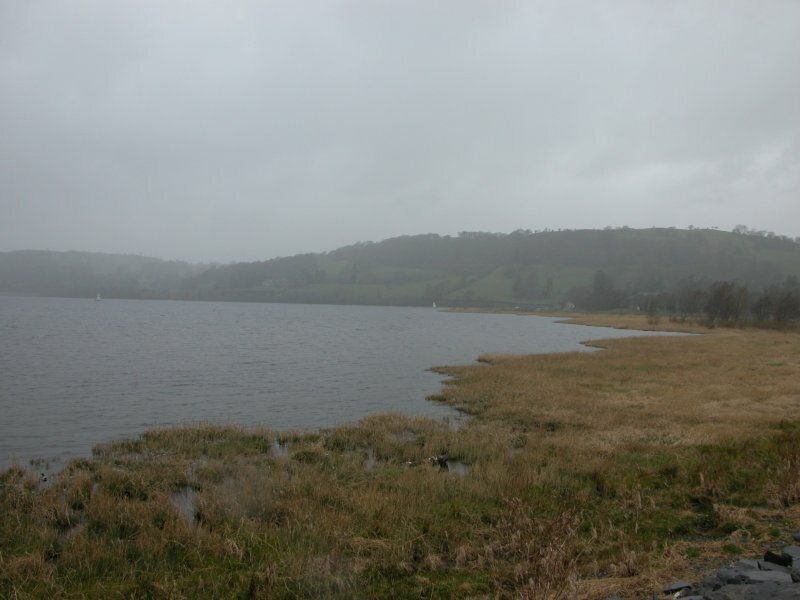 Llyn Tegid, the largest natural lake in Wales. Normally this would be a lovely shot with a mountain reflected in the water. But today, the rain was busy keeping the lake topped up. Craig y Mŵn. What do you mean "that is not water"? It has a stream running in the gully in the middle of it. 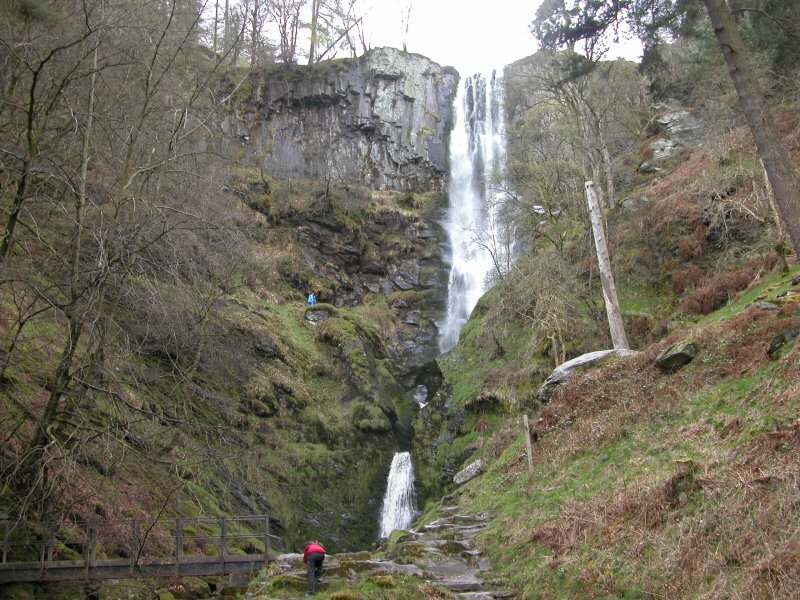 Pistyll Rhaeadr is not the tallest waterfall in Wales, since it is far shorter than the Devil's Appendix. 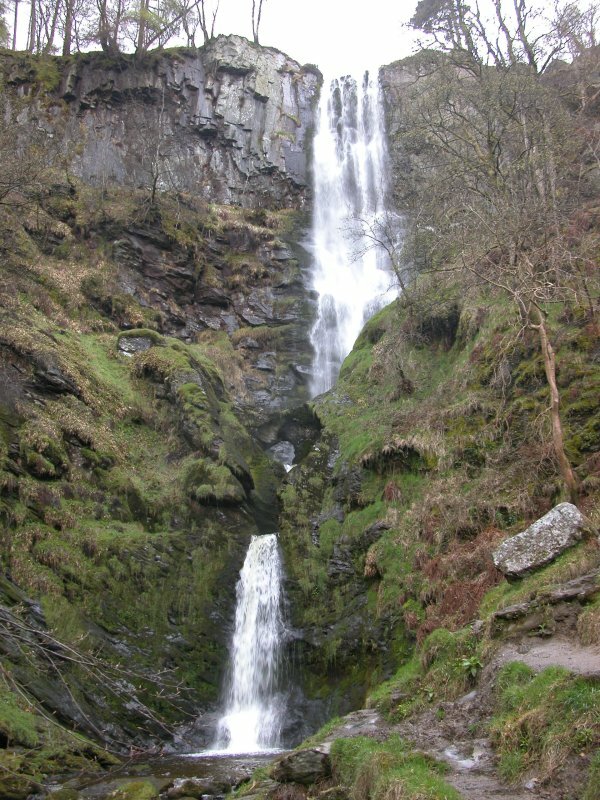 However, Pistyll Rhaeadr normally is given the honour, probably because it is more obvious than the Devil's Appendix. Even various official (maintained by the council) Powys guides get this wrong. The incorrect information is well entrenched in tourism and local pride, and would be very hard to challenge, despite the fact that climbing guides such as "Rock Climbing in Snowdonia" (ISBN 0711224080) clearly show that Devil's Appendix is taller. The height is quoted as 240 feet from the lip to the pool. For some reason this gets upscaled from 73 metres to 75 metres when converting to metric. In any case, it is actually 3 waterfalls, and the sign does not say if the height relates to the pool at the bottom of all of them, or just at the bottom of the upper waterfall. 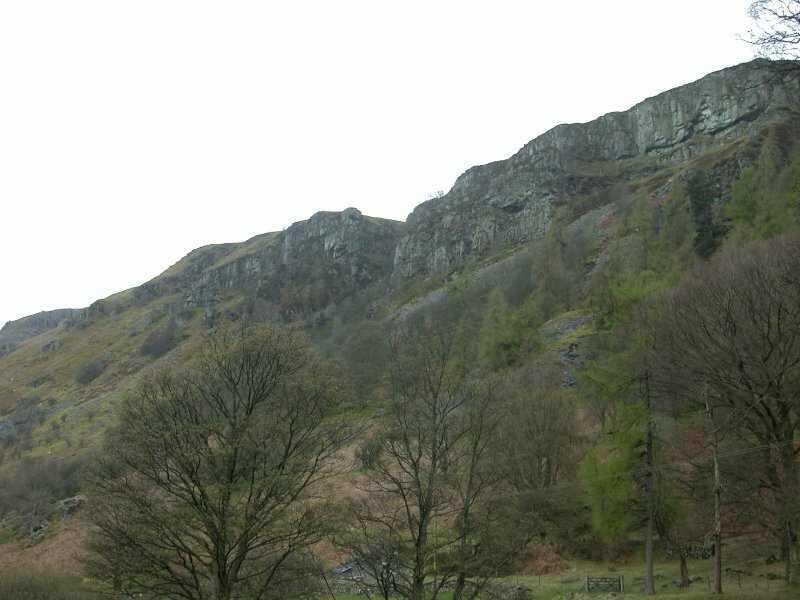 Judging by the size of the blue idiot cliff walkers, and careful reading of the OS maps, it is the total height, meaning the tallest single drop is about 40 metres. 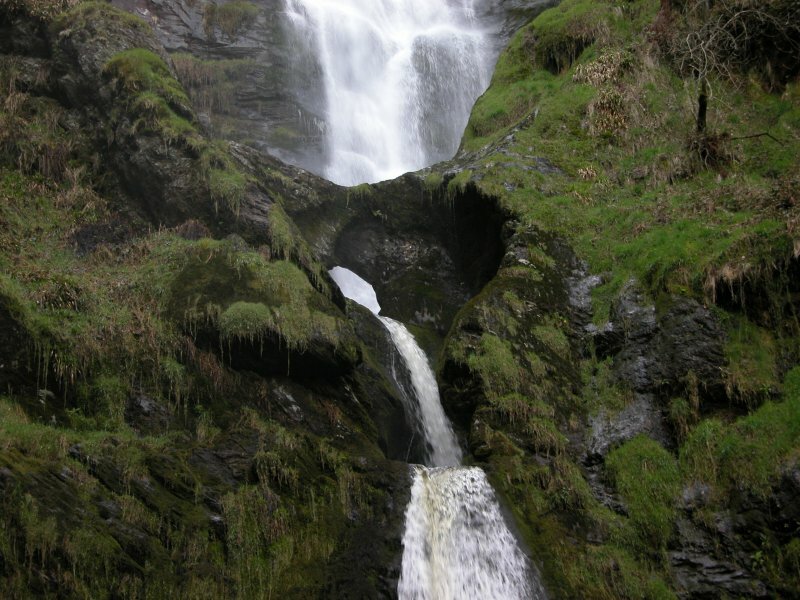 The natural arch of Pistill Rhaeadr, showing the three waterfalls.